Arden NK, Price C, Reading I, et al. A multicentre randomized controlled trial of epidural corticosteroid injections for sciatica: the WEST study. Rheumatol,2005;44:1399-406. Airaksinen O, Brox JI, Cedraschi C, et al. European guidelines for the management of chronic nonspecific low back pain. Eur Spine J, 2006;15(Suppl 2):S192—S300. 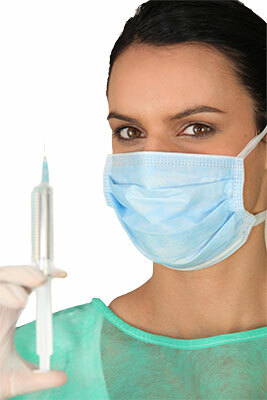 Friedly J, Chan L, Deyo R. Increases in lumbosacral injections in the Medicare population: 1994—2001. Spine, 2007;32:1754-60. Treat low back pain, neck pain, sciatica, herniated discs, degenerative or bulging discs, or spinal stenosis with non surgical spinal decompression. 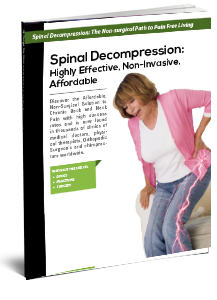 Learn more about this safe, comfortable, and affordable low back and neck pain treatment offered by Spinal Decompression Centers of America; read testimonials and spinal decompression reviews from many satisfied clients and residents of Newark, Jersey City, Paterson, Elizabeth, Edison, Woodbridge, Lakewood, Hamilton, Livingston, Ridgewood, Red Bank, Clifton, and New Jersey.